We are very proud of our factory and love showing clients round our premises in Braintree. We appreciate that before placing orders for the finest quality timber products, our clients want to be sure that their jobs are being manufactured in premises that meet all of the highest quality, ethical and environmental standards. 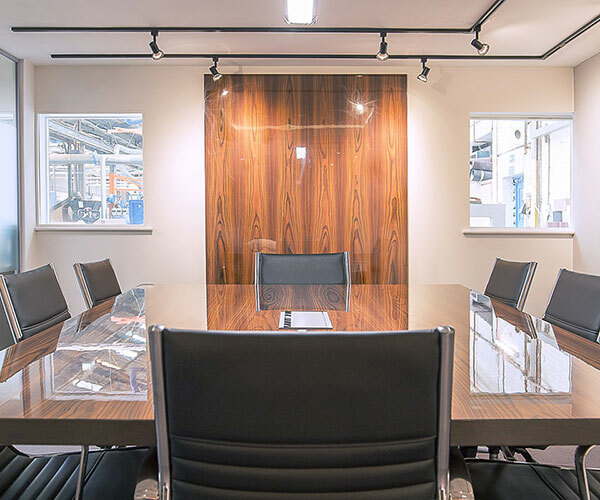 To start our tour, we welcome you into our purpose-built meeting room to provide a tour briefing and to explain what you will see as we walk around the factory. Then we hit the shop floor for the factory tour so that you can understand what goes into making Shadbolt products. Finally, the tour is finished with a summary and Q&A session back in the meeting room. If you are interested in finding out how we produce the finest timber products, please get in touch to book a factory tour. If you can’t make it to Braintree to visit our factory, but you’re still interested to know more about how we produce the finest timber doors, panels and WC cubicles, then check out our virtual video tour of the factory.